Anyone else getting damaged subscription copies of the magazine? Recently had this and an earlier issue with the same white marks – surface tears on the top right of the front cover. Both in exactly the same place, as if there’s a problem when printing it. fellow collector gets theirs from their local shop – no damaged covers. Mine are always crumpled now they’ve started putting them in plastic bags, which is highly wasteful I must say! Is something wrong with my browser??? 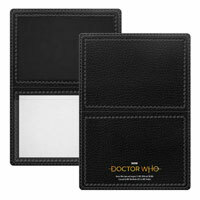 I can’t find Sutekh on the Forbidden Planet site to order! 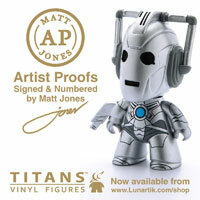 I might have to order this one via forbidden planet. Looks like my local shop as closed down. The black robed servant of Sutekh would be a very good figure to produce to go with Sutekh…. Can’t get an answer for love nor money about the menoptra…..
I’m sure I’ve answered this elsewhere. The production process used makes a Menoptera figurine possible, no matter how much we want to do it. We are continuing to investigate. What about a menoptera who hass had its wings removed then ?? If you remember the Zarbi tore them off. Im sure there must be some different but havent one or two previous figures had transparent components Morbius ? The Vashta Nerada surely only the wings of the Menoptra need transparency ? Wonder how they put trnsparent items like windshield into the Batmobiles and James Bond Collections down at Eaglemoss… maybe the people who work on the cars can come up with a solution. Presumably this issue holds back a special of Ambassador Arcturus with is protective dome too. People really want a figurine of a man wearing a laughably bad, cheap looking bee suit? Id rather have a man in a bee suit to anything we’ve seen in the show since it came back…and especially in preference to assorted adipose, ptings and space pigs/ pig slaves……. On it. But not for a little while. No dates. All a bit tentative. Hello to all. I’m new to this site, but would like to ask the following questions. The BBC made The Doctor Who movie with Fox and Universal. As there’s been no 8th Doctor figurine wearing the costume designed for that TV film, I’m guessing there will never be one produced because three companies own the copyright? Which is why we’ve never seen Eric Roberts as the Master? Would anyone let me know if I’m right please. Not sure what Eaglemoss’s license specifically covers but Character Options (who have the action figure license) made a TV movie 8 and two Night if the Doctor 8s (injured and not) (and even a ‘based on the Panini DWM comic strip variant (like the TV movie – long hair etc – but blue coat, beige trousers, brown waistcoat and I think gold cravat). So they managed to get the TV movie ‘look’. Not sure about getting Eric Roberts’ Master but they’ve said they are trying. 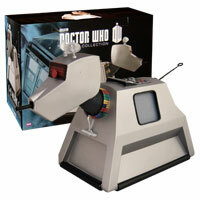 We’re looking at something a bit special for the Eighth Doctor set/s in the hopefully not-too-distant. Bear with us. Can’t confirm anything I wanna. One of the many things I really love about The Figurine Collection is the way they have not been afraid to give fair coverage to eras/Doctors that may not be most fans’ favourites or that widely remembered by the public. For example, I love the McCoy era – it’s a marmite run for a marmite Doctor, and I know a great many fellow fans aren’t so keen. But to me his seasons had a lot of really imaginative foes, creatures and great designs that are worth the range visiting – Neil and team, thanks for doing just that! 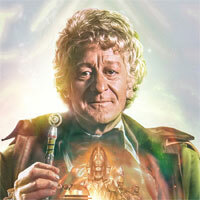 Ditto eras like that of the First Doctor too. It is tempting and understandable for licensees to want to prioritise maybe the Pertwee, T Baker and Tennant eras and mine those more, but I’m glad this celebrates every period. Still waiting for Kandyman Gareth…..
That new jamie figure looks amazing. I,m gobsmacked and openmouthed at the new selection of figures Neil Corry has put out there. Some great companion sets there. All I need to know now is which stories these companion sets are from. Some not approved.Looks like another second doctor for jamie. 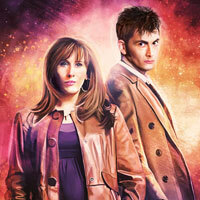 I,m assuming the Ninth Doctor and captain jack from The Empty child/ The doctor dances. The mystery figurine i,m going For fendahl. Either way, i,m salivating. I want them all now. My guess is a Fendahl would be a special given its size/scale to human characters. I’d be well up for them doing that! Mystery figurine is probably the Valeyard, with the bottom bit the base, and the rest is a humanoid with a flowing cloak. Glad to hear the Chief Clown is still on his way. In addition to the Masters, it’s great that they’re doing some of the best human-faced villains – the Toymaker and the Valeyard have been hinted at. How about the Monk, the Rani, the Black Guardian – and the very first supervillain, Mavic Chen? I’d really like the Dream Lord. I hope this comes with a cushion and a hand to hold it down, like when sutekh stands up in the last episode. Figures are produced in batches, there’s going to end up being a huge number of Thirteenth Doctor figures out one after the other soon so putting out classics now will keep things balanced when the new stuff rolls out. Not that it will stop people complaining of course. Can’t really think of lots of 13th doctor figurines they can do really but there will be a phase where more modern are produced, I suppose you have to remember there are more classic episode’s and monsters then modern so more are then likely going to appear more. That does make sense, the last I heard booboo was the collection was to 150, is there anymore extension news to further issues or is it to end at 150? My guess for ‘figurine-able’ characters from the 13th Doctor so far would be: Tim Shaw (they’ve said they’re onto that), a Thijarian (Demons of the Punjab), a Kerblam Man droid, Becka Savage as Morax queen, and the junkyard Dalek. 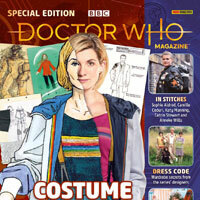 Plus any Companion Sets they want to make – for example they could do the purple jumper 13 with any one of Graham, Ryan or Yas. I’d be up for a Graham figurine! 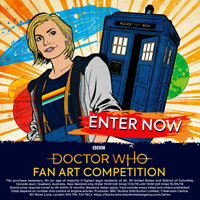 Though for a companion set for a 13th doctor set, they would have to release the same kind of model for the 13th Doctor due to not much of an outfit change. @Arthur. At the start of the collection there were 14 new and no classics. In between 110 and 120 there were 2 classic and 8 new. There are constantly swapping between batches, but there are still slight more new series figures in the main collection. There will be much more of a mix of classic and new series from about issue 150. There are lots of reasons why we’ve had such a run of classic figurines, and why the Series 11 figurines seem to be ‘late’ but it will start to balance out more. Promise. The collection runs to issue 180. I don’t know if it will run longer, although I hope it will. No wheels, as far as I know, have been set in motion about extending the run. There is a sterling reference work here, about the ratio of classic/new. If you go all the way to the bottom of the page, you’ll see it’s about 50/50. If anyone knows who maintains this wiki, I would love to know. 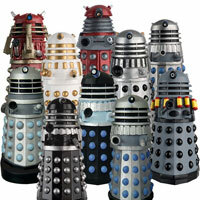 And prototype Dalek, we have some very nice plans for the upcoming companion sets. Bear with us! About time we had a good solid run of classic figures and still plenty from all of the classic Doctors too. Especially waiting for a Menoptra to go with that Zarbi – a Macra special – Troughton’s version not the nu-who vartiety and a Dominator to go with the Quark. Not interested in any more nu-who at all. @ The Werewolf: that would be very helpful. Thank you. I’m @londonconcrete on Twitter. There may be a fifty fity split between nu-who and classic. Problem is how much longer classic Who ran than nu who for the figures to be split equally. Personally I think its been rather good to see a straight run of classics (no longer interested in the nu-who run at all and might find it preferable to cancel my subscription and start being selective and purchase from the website – if theres anther increased run of nu-who characters). 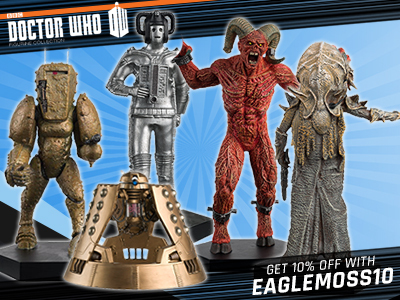 I also can’t be the first subscriber to notice that theres quite a bit to be saved if one takes advantage of the offers on the web site too…..
Just curious but has anyone at Eaglemoss foud how much the rights to release a Peter Cushing figure and the film versions of the Daleks would cost. I still think the absence of a Cushing figure from a set celebrating 50 odd years of Doctor Who is a big ommision from the series. 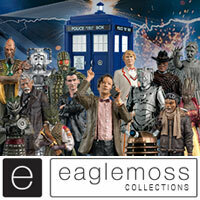 Thought the Eaglemoss collection was only based on the televised adventures of the Doctor. So, no Cushing (or movie Daleks). 2023 marks the 60th anniversary. If the collection could be expanded to cover all Who related material (inc the spin offs/official/unofficial…Sarah Jane, K9, Torchwood, Dalek Movies, Big Finish…) then it would indeed become THE definitive collection. Hopefully Eaglemoss can extend the licence for at least another 5 years (and perhaps obtain any others that might be needed for the above to happen). Other Eaglemoss figure collections have gone beyond the 200 issue point, so why not Who? After all, there’s still a lot more figures that could be produced. I’ve collected too many different ranges from manufacturers that have suddenly stopped short (eg DW DVD Collection, Doctor+Dalek twinpack figures…). Us compulsive/collector/completionist sufferers wince whenever a collection ends like that. You’ll always hear the moaning “why didn’t you include…”, “what about…”, “why is … missing…”. 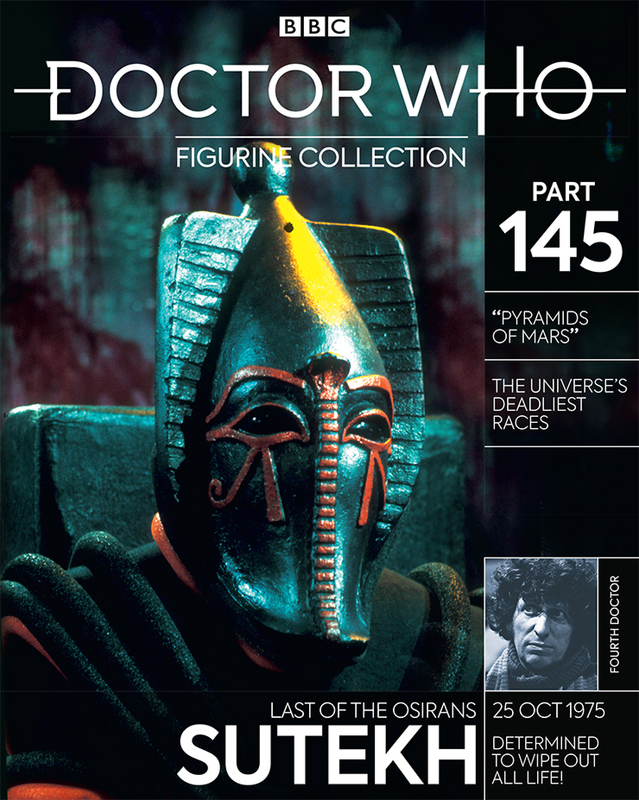 ‘Pyramids of Mars’ is my all time joint favourite story alongside ‘Tomb of the Cybermen’. I find it impossible to separate the two classics. hoping for a Davros and Nyder set soon. I think Neil Corry answered someone about that on the Facebook page, saying, no, they’ve just shuffled the order of a few issues around, but he’s still imminent. Gareth, it was probably Twitter! And the Chief Clown has definitely not been lost. Thanks Neil. The Chief Clown WIP on the photo you shared today looks great.